Give potential tenants a chance to view a rental unit with this Rental Property Viewing Agreement for residential rentals in Canada. Have the prospective tenants sign the Agreement before you provide them with a key to view the property. They must also provide a personal item (such as a credit card) and a cash deposit for the key, which will be returned to them when they return the key. The landlord agrees to return the personal item regardless, but will retain the deposit if the key is not returned. 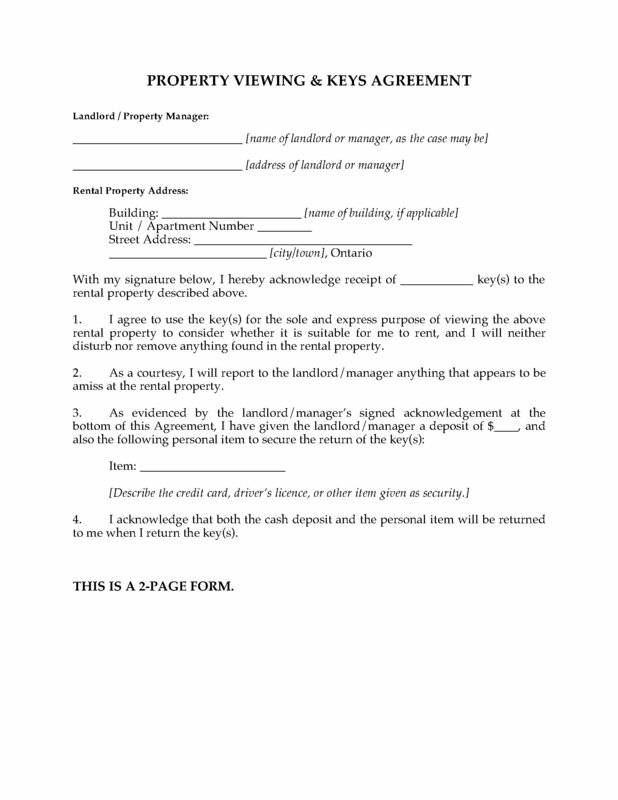 This reusable rental template is a handy form for landlords and rental property managers. This is a Canadian legal form that can be used in most provinces and territories except Quebec. The template is available as a MS Word download. Other formats available on request. Bed Bug Lease Addendum, including disclosure by the landlord of any previous infestations. Upon signing, the Addendum becomes part of the Lease. 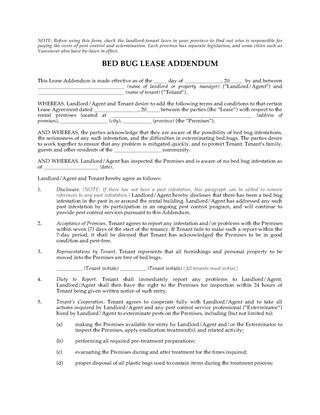 Bed Bug Treatment Agreement, which sets out the tenantâ€™s and the landlordâ€™s responsibilities before, during and after pest control treatment. Bed Bug Rules and Regulations, to be followed by all residents of the rental complex. Prevent the spread of bed bugs in your rental units. Download the Canada Bed Bug Lease Forms Package. Take applications from prospective tenants for a rental vacancy with this Alberta Rental Application Form for Residential Tenancy. 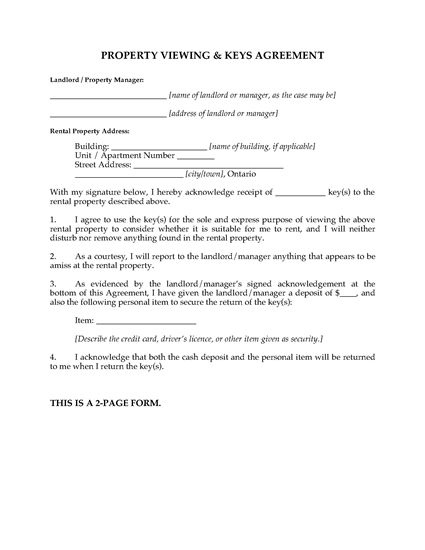 This Alberta Rental Application Form for Residential Tenancy is a downloadable template for landlords and rental property managers. Great for multi-unit buildings - buy it once, use it as often as you require. Prepare a Pre-Occupancy Repairs Checklist for the rental properties you manage with this easy-to-use template for Canada. The checklist should be completed each time a tenant moves out. 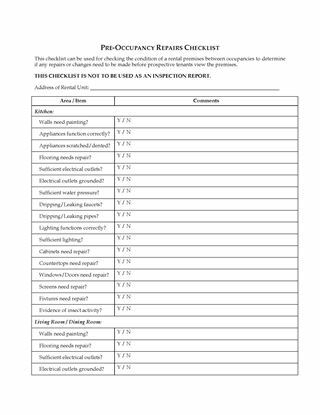 The checklist form addresses all the areas that should be inspected (such as fixtures, appliances, flooring, windows, etc.) to determine if any repairs or upgrades are needed before prospective new tenants view the rental unit. This is NOT an inspection or premises condition report, but it is a means of recording items that need to be addressed prior to showing the vacant unit. The Canada Pre-Occupancy Repairs Checklist is fully editable so you can customize it for your unique needs. Buy, download, start using right away.